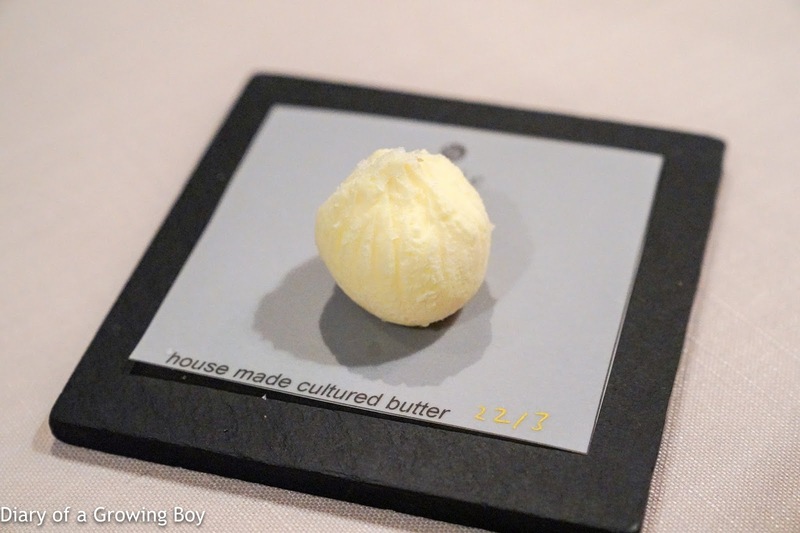 And of course there is the homemade butter, made daily and served within a day. 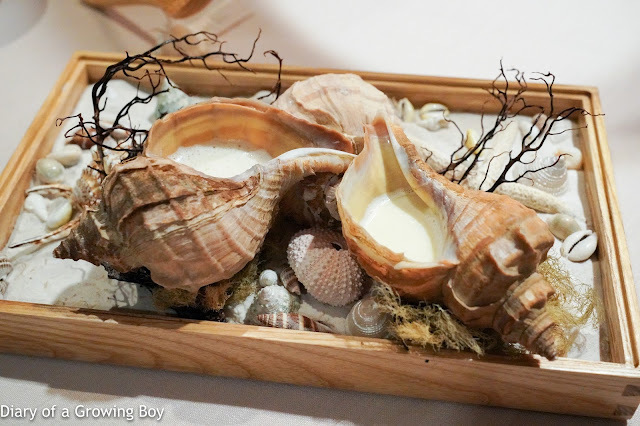 "Clam chowder", whelk Matsubu twist clam and peas with chef's twist - the chowder is poured from whelk shells into our bowls. House made pasta with "aonori" sauce topped with premium uni - Sato-san is incredibly kind to always offer me this dish as an extra course... サービス, of course. 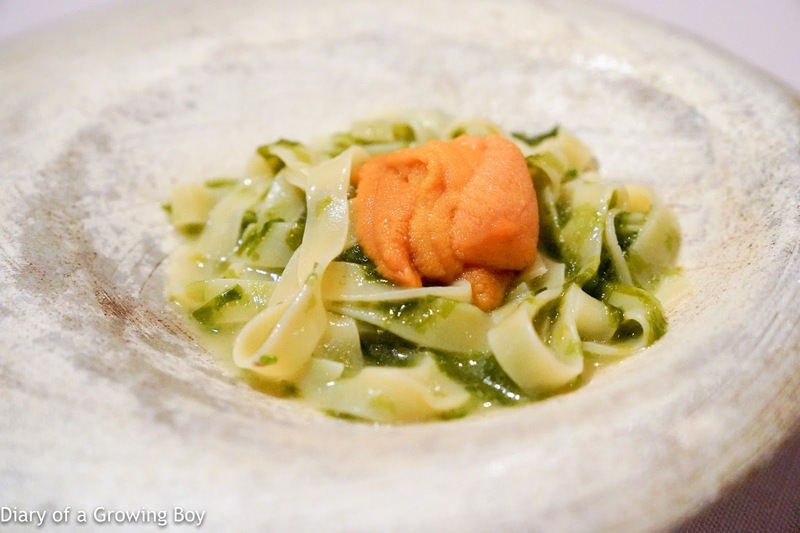 I absolutely looooove the umami from the aonori (青海苔) seaweed, and the sea urchin soaked in sea water has that extra sweetness which is accentuated further by the seaweed. Tonight the seaweed seemed a little more salty than usual, but this was still seriously yum. And it was fantastic! 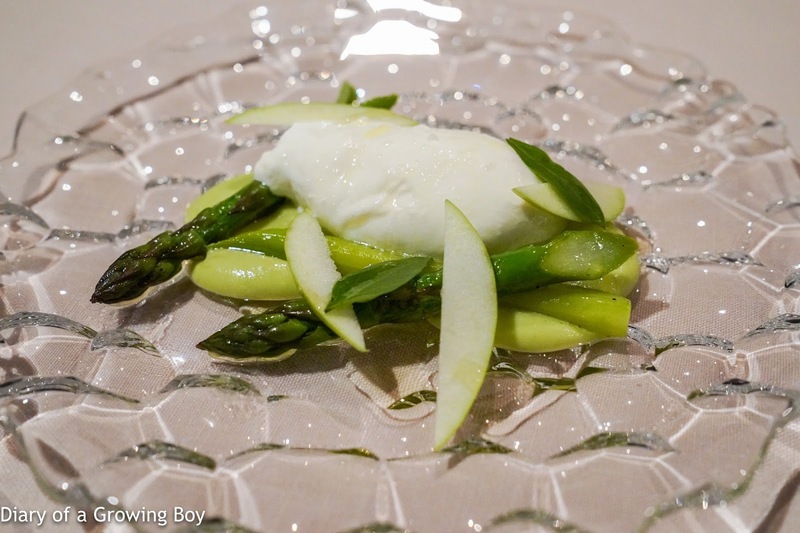 Seasonal asparagus is always delicious, and besides the creamy Burrata and the drizzle of fragrant olive oil, we've got thin, crisp slices of green apple bringing some acidity... and that green apple/avocado purée which had just the right balance between savory, creamy, and acidity. A couple of basil leaves became the perfect finishing touches on the dish. After hearing Hello Kitty's description of the dish, Babu also wanted to switch, and I'm pretty sure she was very happy about that decision! Confit chicken wings with artichoke, black truffle - before we started, Takano-san informed me that there was one portion of this dish available. 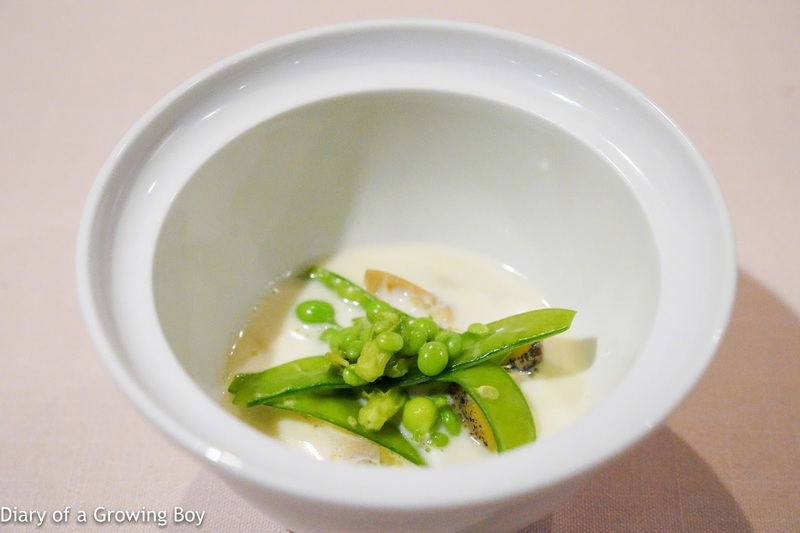 Seeing as I have had their signature abalone quite a number of times, she wondered if I would want to substitute this. What's not to like about de-boned chicken wings which were cooked confit until the skin was all crispy? 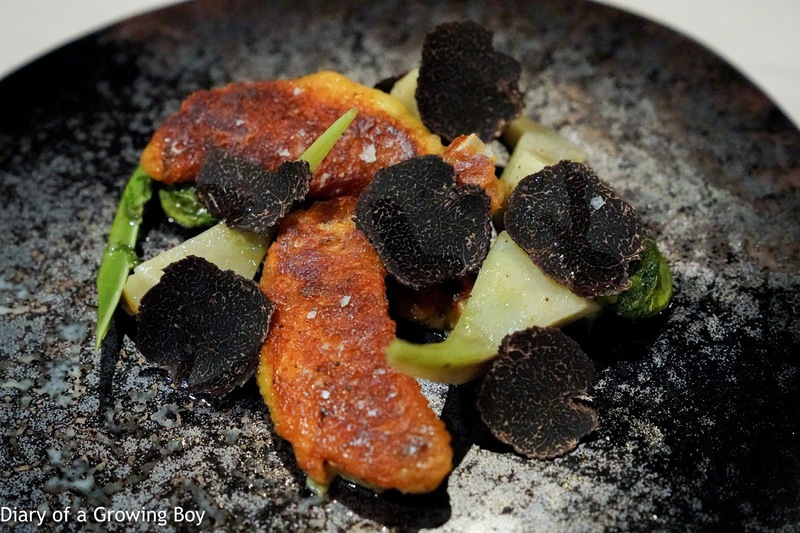 The artichoke came with some acidity to help offset the grease, while the black truffle reliably delivered their wonderful fragrance. Some ostrich fern shoots (屈) were added for a seasonal touch. 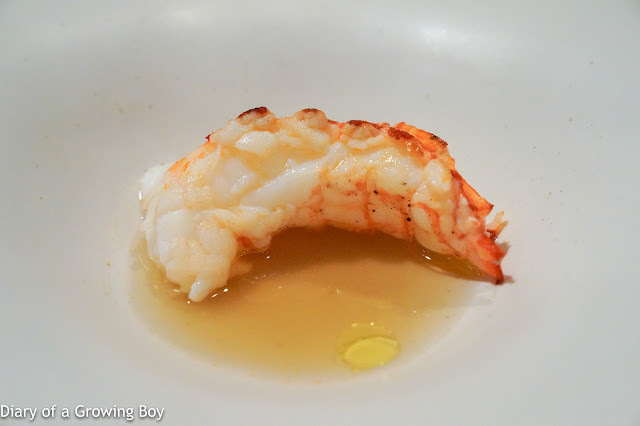 Japanese langoustine with pork tail, Yunnan ham, langoustine broth - this was introduced as a very "simple" dish... and indeed the presentation looked very minimalist and simple. But I have learned over the years that "simplicity is not simple". The langoustines from Sagami Bay (相模湾) was perfect. The mi-cuit execution delivered an amazing texture which was a combination of tender and slightly bouncy. 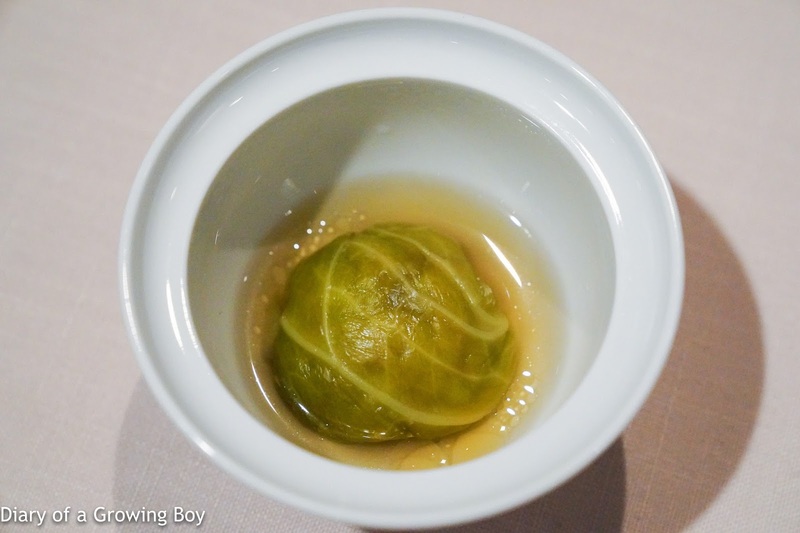 The clear broth was finished with a few drops of fragrant olive oil. Delicious. We also got a "dumpling" on the side. 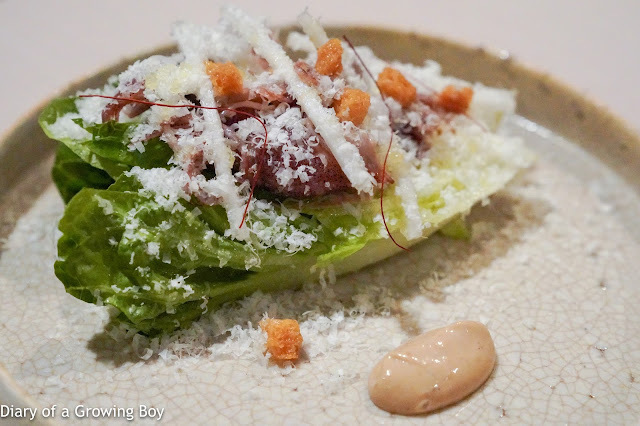 Underneath the cabbage wrapper was a combination of langoustine, pig tail, Yunnan ham (雲腿), and spring vegetables. This was good, too. Beef tongue stew, onion nouveau, fresh Yunnan morel - beef tongue is a delicacy enjoyed by the Japanese (and many of us Chinese), and this was incredibly tender after the tongue from Australian black Wagyu cattle was stewed for more than 4 hours with red wine, Cognac, and Shaoxing wine (紹興酒). 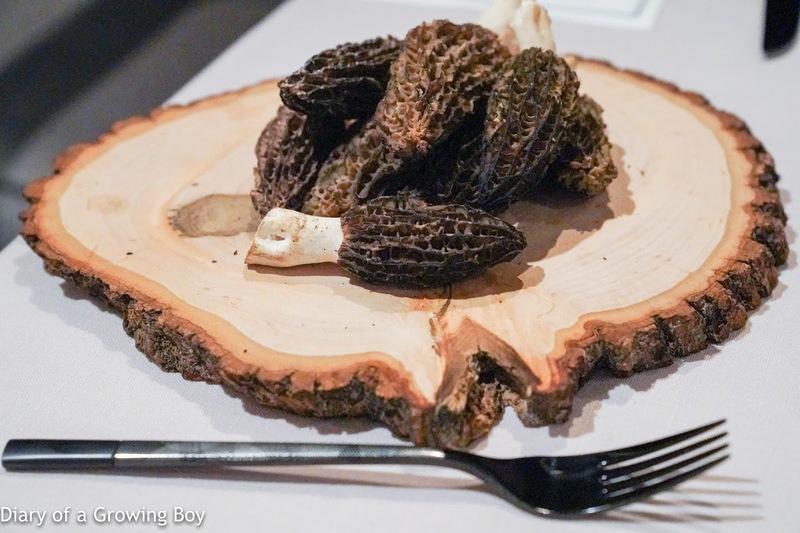 The accompanying cream sauce was made with morels and Shaoxing wine. 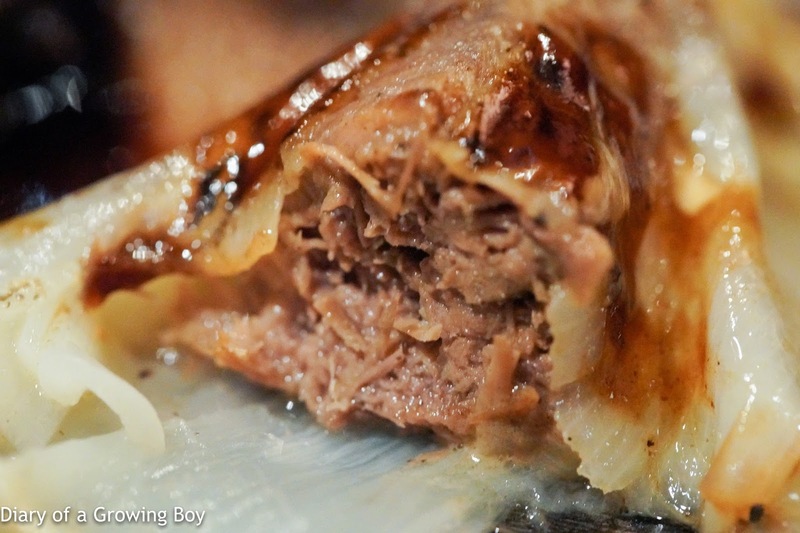 Minced beef tongue was also stuffed inside the onion nouveau. Very yum. Almond ice cream with meringue, fresh strawberry, scent of sakura blossom, covered with fragile candy glass - by now this is the signature dessert from Sato-san, which was accented with seasonal cherry blossoms. Today the strawberries being used were Amaou (あまおう) from Fukuoka. 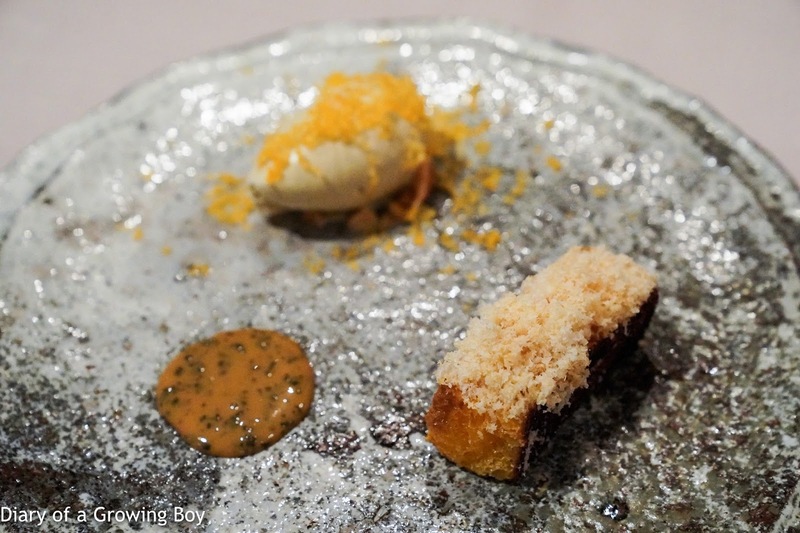 Caramelized French Toast, black truffle toffee - the French toast came with cashew nut shavings on top, while the delicious Oolong tea (烏龍茶) ice cream came with the usual salted egg yolk shavings. 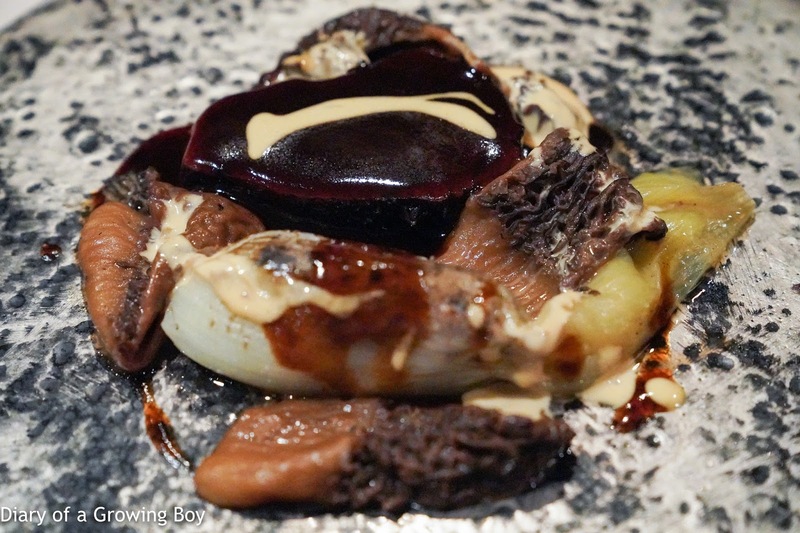 The toffee sauce on the side was flavored with black truffle. All of us finished with the wonderful herbal tea, which combined mint, lemongrass, and pandan leaves together to deliver a beautiful and soothing fragrance. 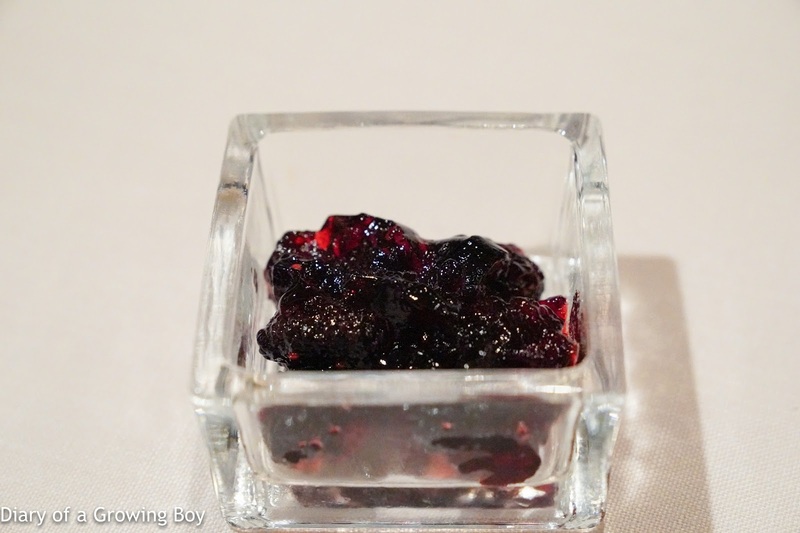 Tonight this meant that our petit four was mulberry compote and gélee. This was yet another wonderful meal from Sato-san and his team, and I really can't rave enough about the cuisine he has been refining for the last 3 years at Ta Vie旅. 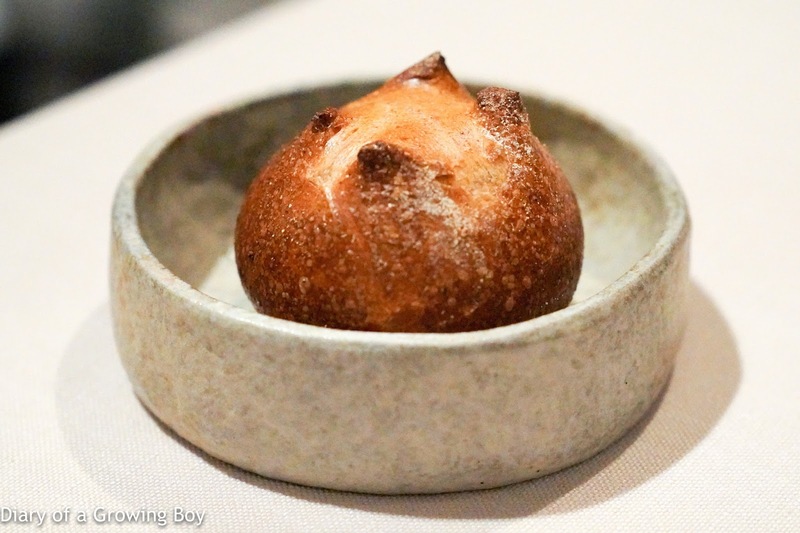 Congratulations on making it to Asia's 50 Best Restaurants for another year!